E3 2018 is going to be as frantic as ever, but it sounds like it’s going to be particularly busy for Microsoft. Team Xbox has something to prove, as their recent E3 showings haven’t knocked fans’ socks off. Xbox boss Phil Spencer has said Microsoft is actively expanding first-party development again, and we may see some evidence of that at this year’s E3. Today, Microsoft unveiled their full E3 2018 plans, and they have a lot going on. In addition to the Xbox at E3 2018 Briefing, there will be the standalone Xbox Experience at the Microsoft Theater, an episode of Inside Xbox from the show floor, and almost a full week of Mixer coverage. Microsoft has also let slip they’ll be showing off a “new battle royale experience” via Mixer. Hmmmm! Is this related to PUBG, or a new game? Or could this be some sort of weird real-life battle royale thing where fans compete for t-shirts? The phrasing is vague. I suppose we’ll just have to wait and see! Watch live beginning on Sunday, June 10 at 1:00 p.m. PDT. During the Xbox E3 2018 Briefing, you’ll have a chance to check out everything from in-depth looks at previously-announced games to trailers for our unannounced titles coming in 2018 and beyond. Viewers logged into Mixer will be eligible for a special MixPot full of digital content – stay tuned for more details. This year will mark the first year that Inside Xbox will be airing during E3. Inside Xbox will air Monday, June 11 at 3 p.m. PDT and will feature a livestream full of exclusive announcements, game demos, interviews, giveaways and more. From Saturday, June 9 to Friday, June 15, tune in at www.mixer.com for the latest news, gameplay, exclusive interviews and more. We’re also happy to announce a special showing of HypeZone Live featuring a new battle royale experience. Players can compete to see if they can make it into the HypeZone and walk away with some sweet swag. 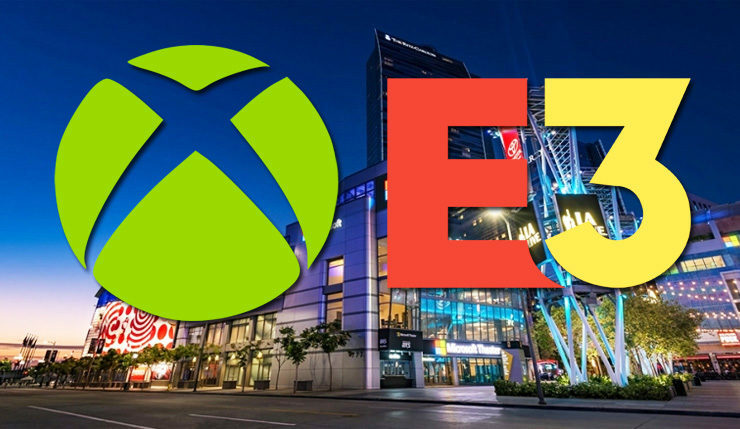 On Tuesday, June 12 and Wednesday, June 13, E3 Expo Badge holders will have the opportunity to experience our brand new Xbox Experience at the Microsoft Theater during expo hours. Featuring a diverse lineup of blockbuster games and experiences, including many of the titles shown in our briefing, attendees will have an opportunity to experience hands-on why Xbox is the best place to play. Check out your local Microsoft Store on timing and details to watch the Xbox E3 2018 briefing taking place on Sunday, June 10, and participate in Forza Motorsport 7 tournaments for a chance to win Xbox One themed prizes. It certainly sounds like Microsoft will be bringing a lot of stuff to E3 2018. Of course, the question is, will fans care about the games they bring? Microsoft unveiled a lot of stuff last year, but most of it didn’t leave much of an impression. Super Lucky’s Tale and Minecraft visual upgrades aren’t what we tune into E3 for. E3 2018 runs from June 12 to 14, with the big publisher press conference kicking off the weekend before on June 9.